Any business can get more successful with happy and returning customers only when you implement good business ideas and follow great marketing plans. For this, you need to look for an easier way to connect with your customers to satisfy them with your services. 3CX Click-to-Call is a web-based communication that allows your website customers to enter their phone number and click on a button to initiate an immediate phone connection with your service. It is not only a free call for the customer, but is also a super easy way to request for a call. You can set the extension of your choice based on your requirement. With this feature on your website, you can expect better conversion rates, higher average orders and increased sales. 1.1. What is 3CX Click-To-Call? 1. Free calls for the customer. 2. Call request made super easy. 3. The extension can be of your choice to meet your requirement. 1.3. How to use 3CX Click-To-Call? 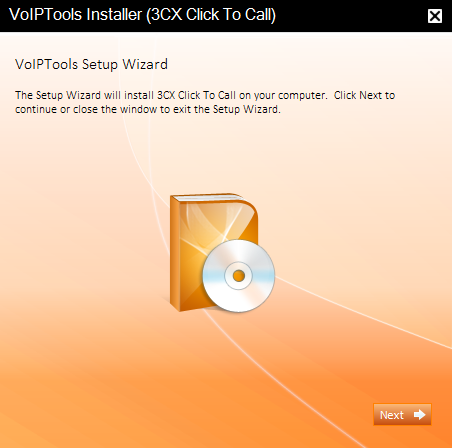 3CX Click-To-Call is a onetime installation process. Once you install it, the product will cause the phone system to call the number that the customer had entered in the Call text bar and diverts the call to the appropriate queue by making use of the extension set for that queue. You can order 3CX Click-To-Call on-line at http://www.voiptools.com. 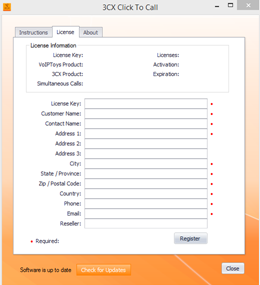 Your order confirmation email will include your license key and a link to download the software. There are a number of prerequisites that must be installed prior to installing 3CX Click-To-Call. These prerequisites include Microsoft Internet Information Server (IIS). You must register your license key to activate 3CX Click-To-Call. Your license key is included in your order confirmation email, and can also be found in your order history on our website. 2. From the popup menu, select Extract All to extract the software. 1. From the extracted folder, find the file 3CXClickToCall.exe. 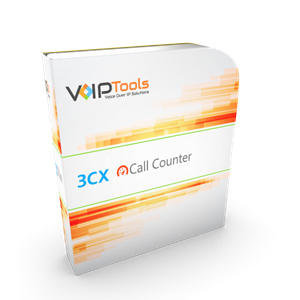 3CX permits one 3rd party application to communicate with the 3CX server at a time. 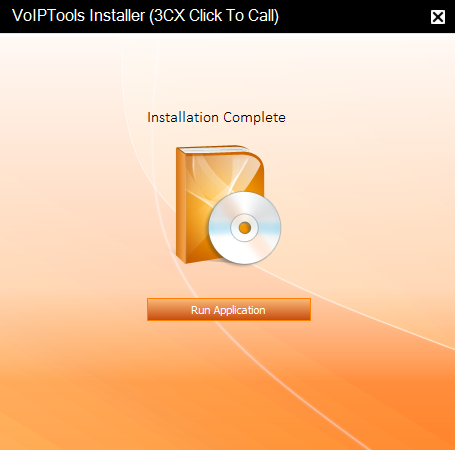 To overcome this limitation, VoIPTools created the 3CX Relay Service. The Relay is a lightweight application that is installed directly on the 3CX server. The Relay exposes the 3CX Call Control API (and other VoIPTools services) to all our applications, and manages requests and events between by VoIPTools products and 3CX. 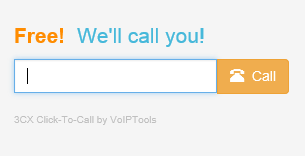 The Relay also makes it possible to install our VoIPTools products on a remote server (including over the internet). 2. If you are installing 3CX Click-To-Call directly on the 3CX server, you can install the Relay simply by clicking the Install/ Upgrade Relay button and following the Relay install instructions. 1. 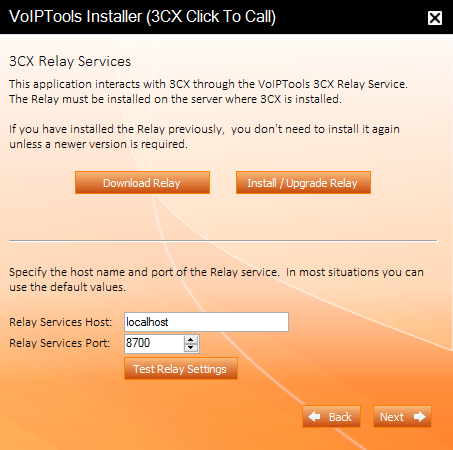 In the Relay Services Host field, enter “localhost” if installing 3CX Click-To-Call on the 3CX server. If 3CX resides on a different server, enter the IP address or FQDN of the 3CX server. 3. Click Test Relay Settings to confirm 3CX Click-To-Call can communicate with the Relay services running on the 3CX server. 2. 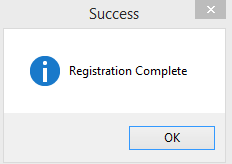 In the confirmation message box, click OK.
3. 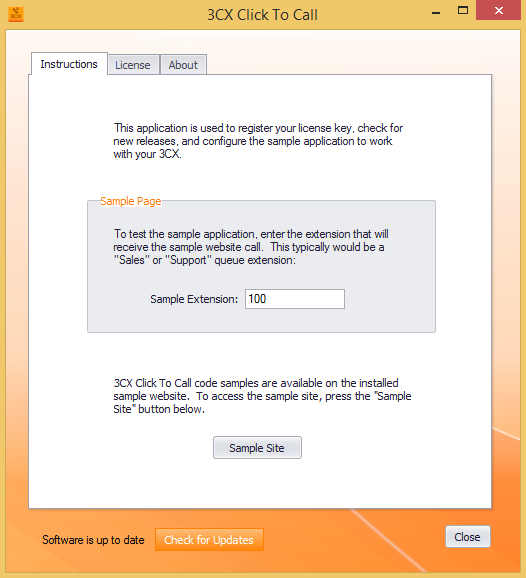 In the Instructions tab, you can enter the extension that will receive the sample website call. 4. Press Sample Site button to access the sample site. 5. Once you install the software and configure it with the website, you will see the web component as shown below. Enter your phone number and click Call to get a call back from the customer support.